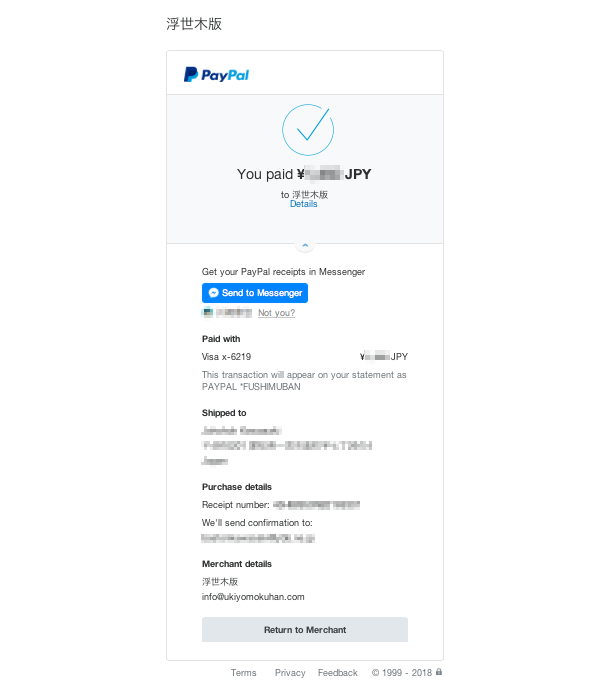 After you have completed the order process, you should be forwarded to the PayPal page automatically. You also can click the shown link to reach the PayPal page. 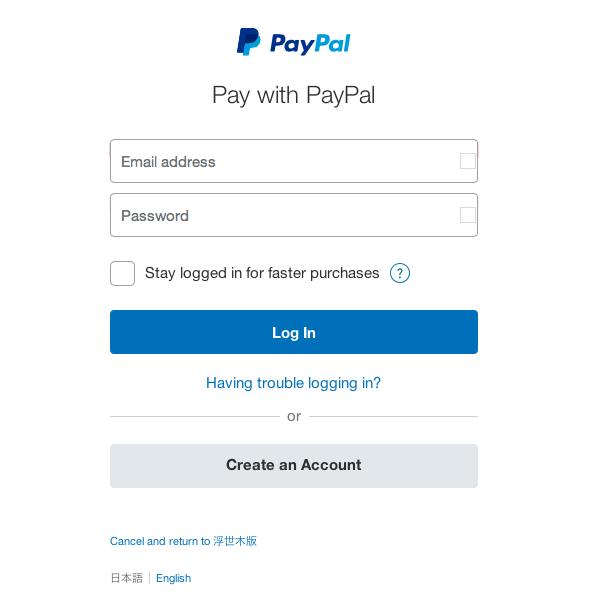 Please type in your PayPal's ID (e-mail address) and password and click the "Log In" button. If you do not have a PayPal account, please click "Create an Account" to make a new registration. 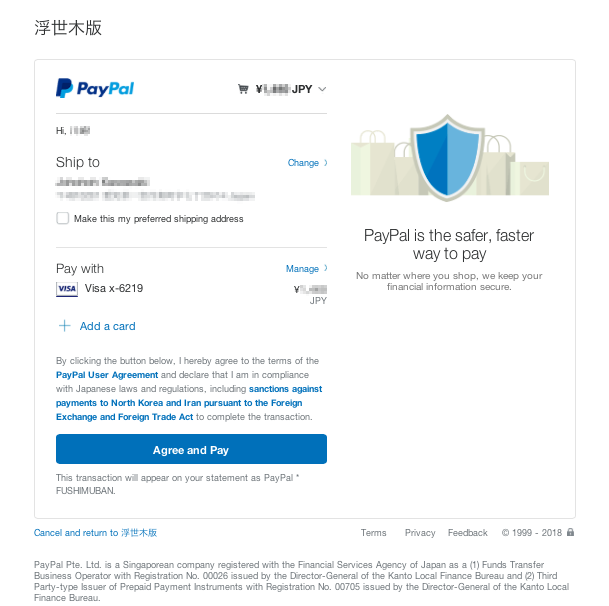 After you are logged into your account, payment amount, shipping destination, payment method will be displayed for confirmation, Please click on "Agree and Pay" to complete the payment process. Depend on what payment type you have selected at your PayPal account, your PayPal account, bank account, or credit card will be charged. The payment is completed and the payment confirmation note will be displayed. At the same time, the system also will send you a payment completion mail to the registered mail address.